All of our chooks like one particular nest. I have offered alternative nests and nesting sites but to no avail. Usually they take turns during the morning to lay an egg each. Now that Jennifer Aniston is clucky they often will nestle into the nest with her. Much to her disgust however. This morning however as I went into the yard to kick Jennifer off the nest for the day to feed and clean herself – I came upon this site much to my amusement. It seems there was a traffic jam for the nest box at this time. If you look closely you can still see Jennifers head sticking out of Stella’s backside. Sure enough, there were three eggs waiting for us some time later. 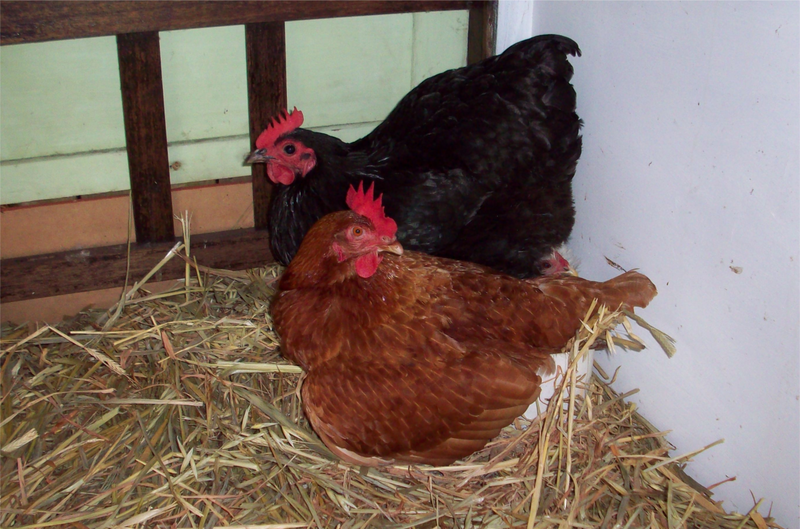 Not that Jenny has been laying much, the other would have been Clarice’s. She must have got in before the rush.